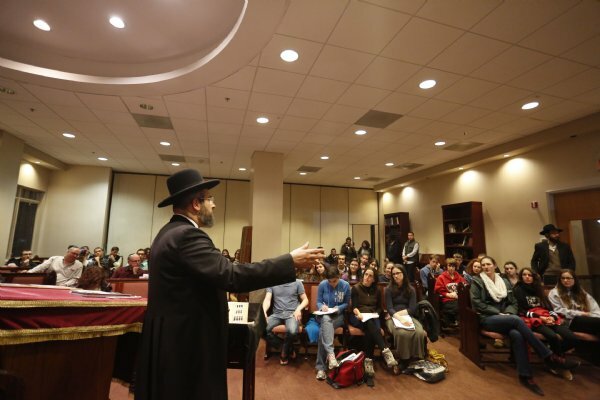 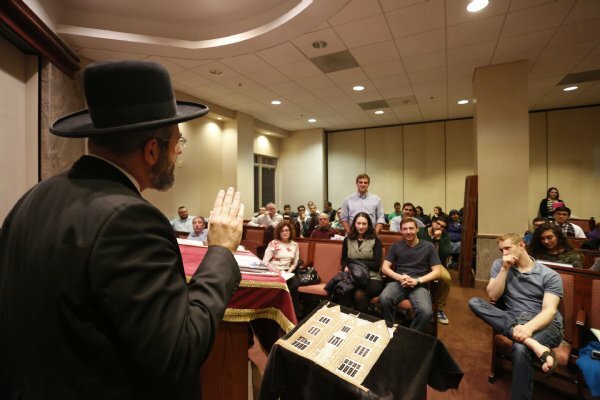 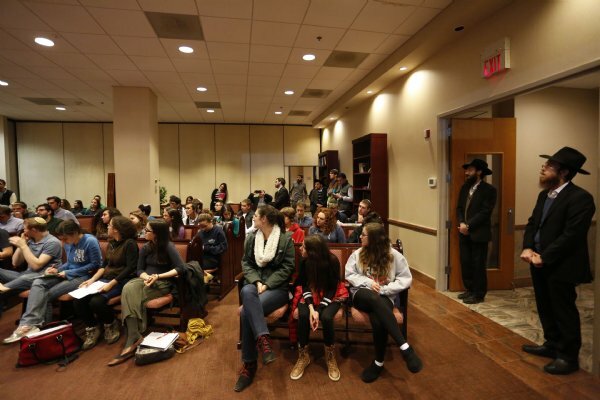 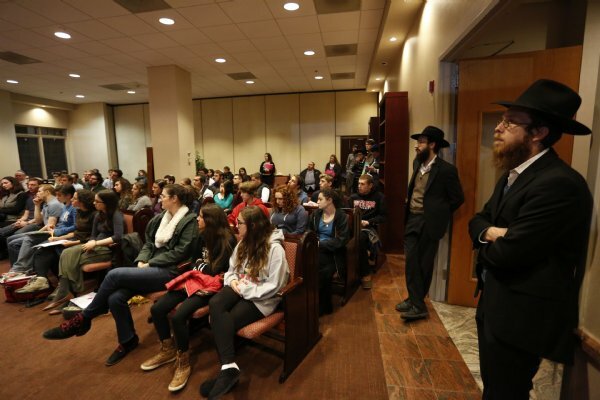 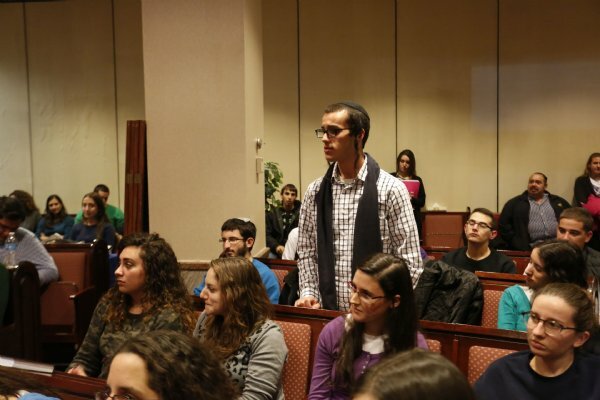 The Chief Rabbi of Israel, Rabbi David Lau, visited Chabad House at Rutgers University this weekend. 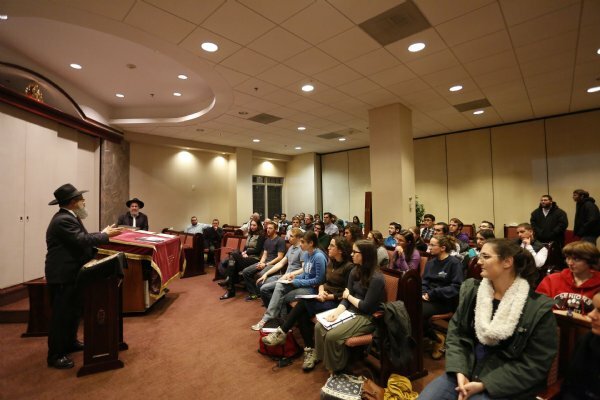 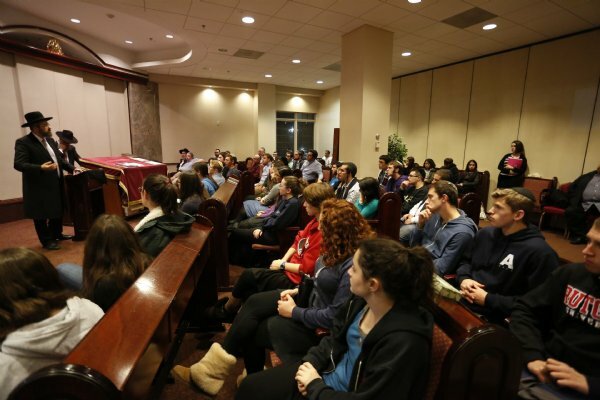 As his final stop on his visit to the United States, the Chief Rabbi was greeted by over 100 students and faculty of Rutgers. 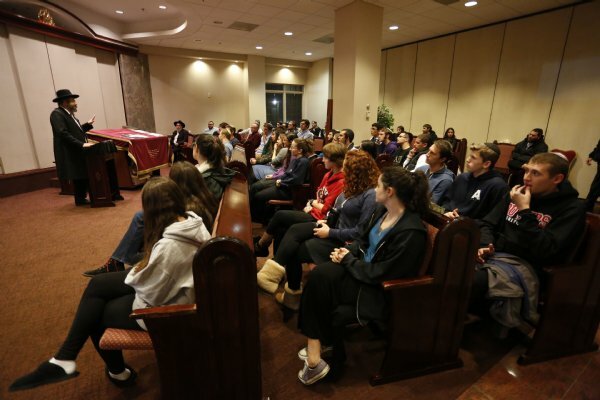 The students listened raptly to the Chief Rabbi, as he recounted his personal stories, and his understanding of the current situation in the Holy Land. 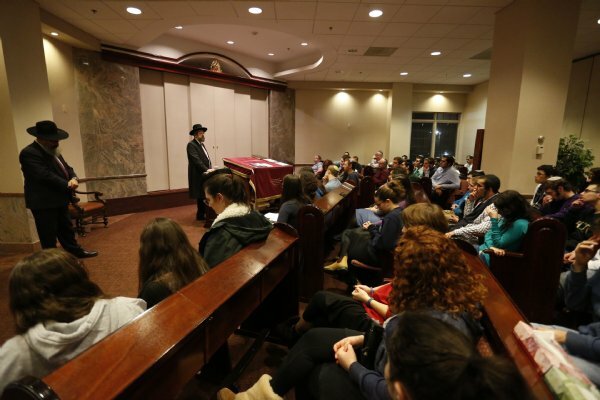 Rabbi Lau emotionally spoke of his telephone discussion with his teenage daughter earlier that day. 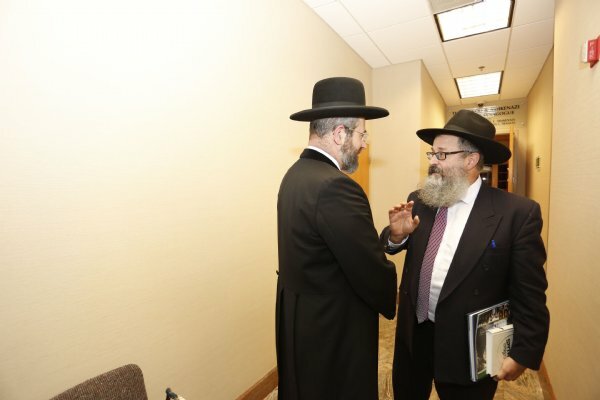 The Chief Rabbi connected the concerns of Israeli citizens for their own safety, to the Torah portion Noach, just read in synagogues worldwide. 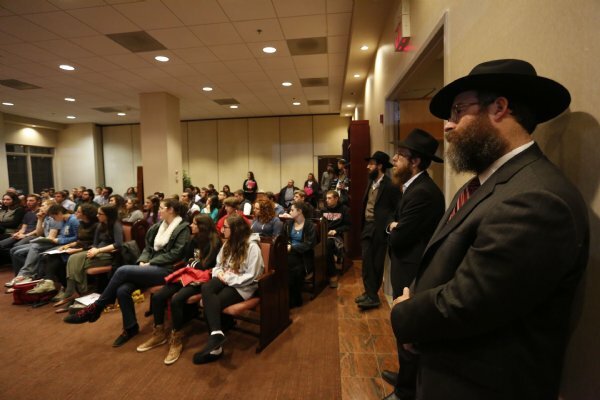 The students asked the Chief Rabbi to convey their strong wishes of support and encouragement to the citizens of Israel, and specifically to the men and women of the Israel Defense Force. 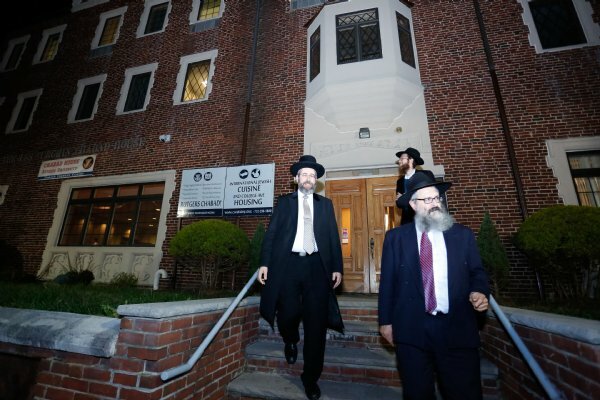 The Chief Rabbi received a tour of the 90,000 sq ft mega- Chabad House from its founding rabbi and director, Rabbi Yosef Carlebach, and remarked his positive surprise at the scope, size and variety of Jewish activities that Chabad sponsors on campus. 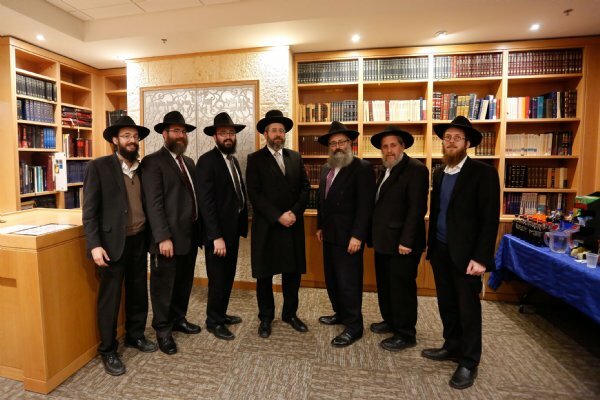 The Chief Rabbi also met privately with all the affiliated Chabad Shluchim (Emissaries) from central and south New Jersey. 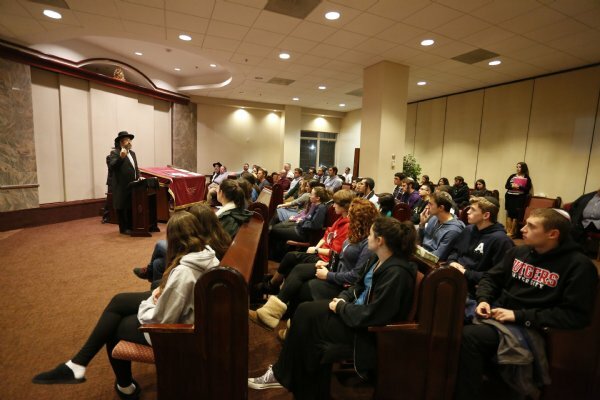 The Chief Rabbi stated that he would bring this message of brotherly love, caring, and support emanating from students in New Jersey, back to the citizens and leaders in Israel.